Customer Voice Vol.36 | TOKYO APARTMENT INC.
For global job at multinational company. The neighborhood was quite peaceful and relaxing. It is near central Tokyo, and has many outdoor parks to jog to, including the imperial palace. Yamamoto-san has been tremendous in helping me find a place to reside very quickly within three weeks! He quickly responded and met me the second day I arrived to Tokyo. 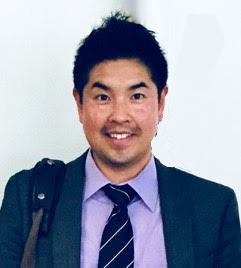 He was very helpful in providing me the procedures in what would be required to move into an apartment, and provided very helpful tips on how to expedite the process.I can truly say that Yamamoto-san was the reason why my transition to Tokyo living has gone as smooth and quickly as possible. He comes highly recommended at my company. I am so happy that I have found your new apartment in Tokyo. Please feel free to contact me every time you need help from me. You are the one of the most polite clients that I have ever met. Enjoy your life in Tokyo!